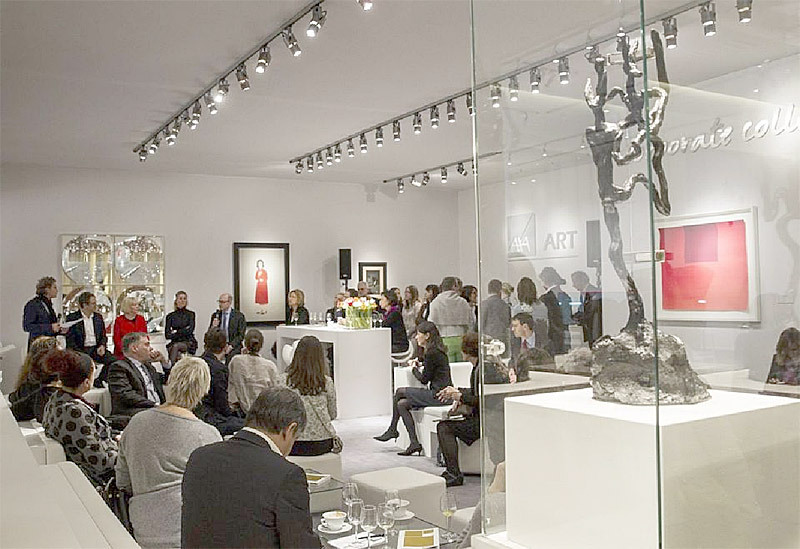 Maastricht 12 March 2016, The European Fine Art Fair (TEFAF) – AXA Corporate Collections Symposium. commissioning songs from David’s lyre. In the millennia since then, art patronage and collecting is a veritable history of culture, with collecting and patronage of the arts practiced as a social institution. Indeed, in Florence of the 15th and 16th centuries, patronage of the arts was not an option; it was a civic duty… and it was a key to social status, a means of preserving the family name, of exculpating some of the blame inherent in vast wealth. The list of names of both artists and patrons throughout history is long and legendary: the Medicis, Michelangelo, Da Vinci, Shakespeare, Mozart… even the scientist Galileo. Monarchs, Municipalities, and the Church made vast investments of their own to promote the arts. Catherine DeMedici’s widespread patronage helped establish Renaissance French art, even introducing the art of ballet to the French court. The magnificent ceiling of the Sistine Chapel in the Vatican was commissioned by Pope Sixtus from Michelangelo. A more contemporary list of individual collectors who have supported contemporary artists includes the likes of London’s Sir John Soames, the Guggenheim family, Paul Durand-Ruel who discovered supported and promoted Impressionist artists (“Without him we should not have survived,” Renoir wrote), British advertising magnate Charles Saatchi, and French retailing giant Francis Pinault. John D. Rockefeller is generally considered the father of modern corporate art collecting. Deutsche Bank owns what is today one of the largest and most important collections of art in the world – nearly 60,000 objects in a collection begun in 1979. The UBS collection of some 35,000 works aims “to be supporting living artists at integral stages of their careers.” Bank of America connects with the public through art, offering free pan-U.S. museum entry on 12 weekends a year to its clients. Luxury brands have turned to art patronage as part of their branding stagecraft, with magnificent results. Take LVMH, the world’s largest luxury group, and its Fondation Louis Vuitton Frank Gehry-designed museum in Paris’s Bois de Boulogne. But putting together and maintaining a corporate art collection takes more than hanging pictures on office walls. For example, how do you start? “Start with established artists, then move to support younger artists, advises Andrea Seehusen, founder and CEO of International Arts Management in Munich, who advises companies on engaging in art and creates art events and activities for museums and municipalities. “I’d buy a big piece from an established artist that fits the spirit of the company, then smaller pieces from the same artist. Then choose a new artists who points to the future — to where the company wants to be,” she says, adding that companies with more limited budgets might want to consider starting with the works of newer, younger, less-established artists. It’s “fits the spirit of the company” that’s the key. This is an investment in culture, a venture into the art of collection rather than just collecting art. Businesses may choose to be involved in an art collection or an art program consisting of art sponsorship, commissioning art, or enhancing their marketing activities by creating art events and engaging new target audiences – a way to get closer to customers, community and employees.